Given Reed's proud tradition of intellectual fellowship between students and faculty, it seems only fitting that two professors chose to commemorate our centennial by honoring the careers of an amazing group of alumni. To coincide with Reed's big centennial bash, Roger Porter [English 1961-] and Robert Reynolds [physics 1963-2008] have put together Thinking Reed: Centennial Essays by Graduates of Reed College, available from Reed's bookstore for $19.95. 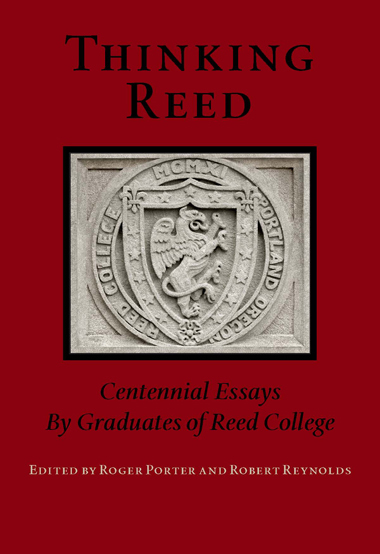 "Our graduates have carried something of the college with them wherever they've gone," write Roger and Robert in their introduction to the collection, "Reed is known to the world largely because of them." 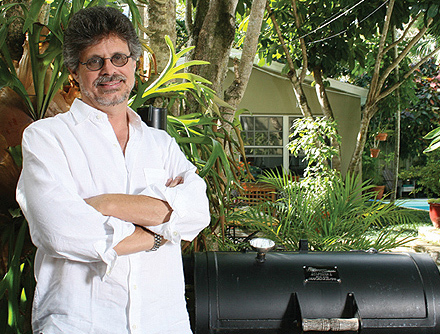 Steven Raichlen '75 knows more about barbeque than Prometheus knew about fire. 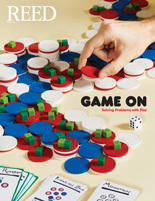 His stat sheet includes 26 books, five James Beard Awards, three IACP awards, a PBS-TV series, his own line of grilling tools, the founding of Barbeque University, a beat-down of Bobby Flay in a barbeque cook-off, a BA in French literature from Reed, and his liver has never been eaten by a raptor. Not to gloat, but another advantage over Prometheus. "I'm not a chef," Raichlen told alumni celebrating Centennial Reunions this week. "Food, for me, has always been a window into culture."